Location: Trailhead is on the Heart of Vilas County green route on Hwy M, 2.5 miles north of town. Alternate (longer) route, trailhead is on the Heart of Vilas County red route at the Boulder Junction community center. Famous area with a white deer population, this loop takes you through wooded area, past an airport landing strip and Boulder Lake boat landing. 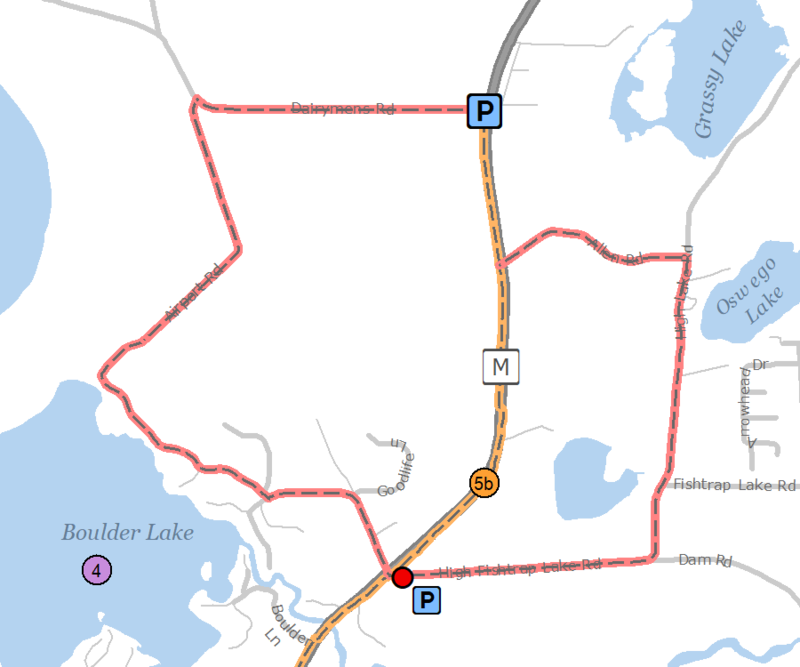 Take the alternate (longer) route and start by going through downtown Boulder Junction.